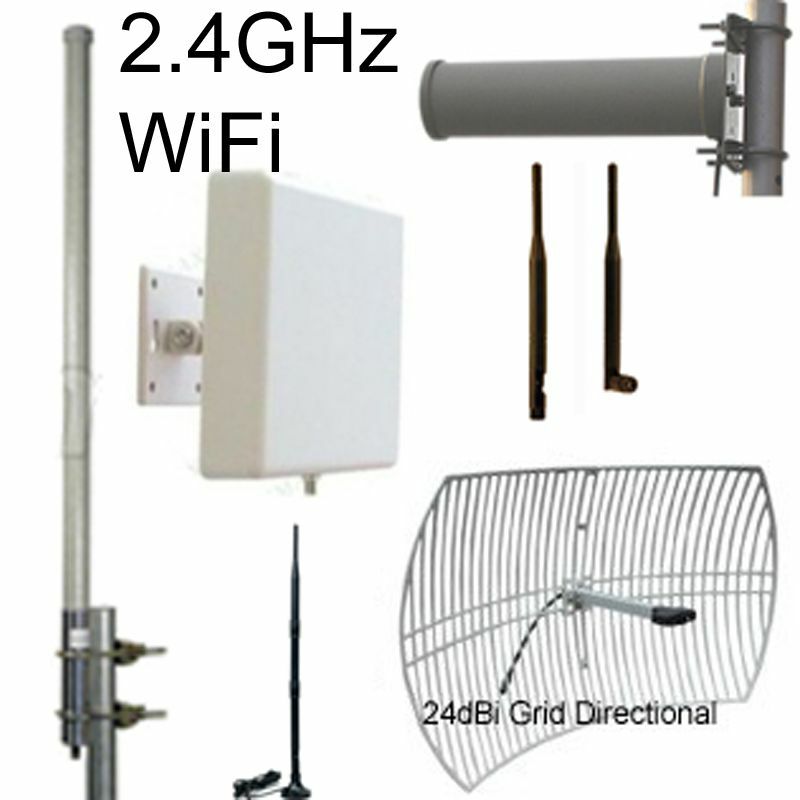 Directional antenna concentrates signal in the direction that it's facing. Better alternative to omni-directional antennas, for most users of USB wireless adapters: Omni-directional antennas pickup stray "interference" signals that can degrade performance: If you want to send/receive a signal in a particular direction, this directional antenna will achieve higher performance by eliminating most of the interference. Optional magnetic mount with 6.5FT cable to RP-SMA-male connector: Choose as option with checkbox above. 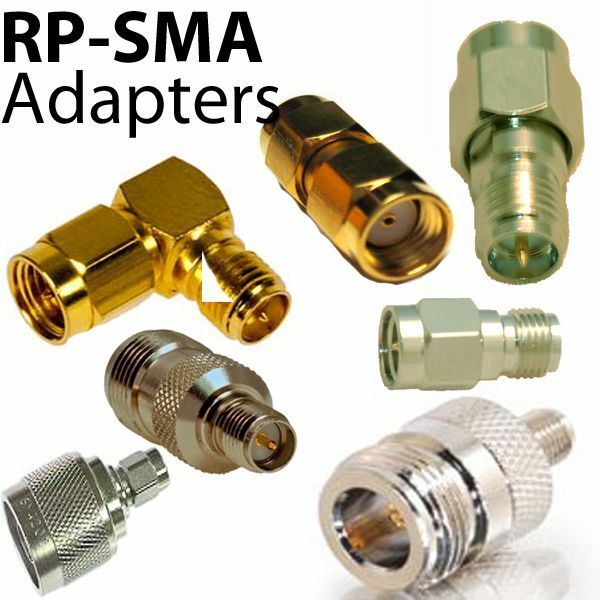 RP-SMA-male connector fits all USB wireless adapters on our site (including all Alfa). For Wireless/WiFi 802.11N/G/B. 2.4GHz, Bluetooth..
Bought four or these for two wireless mic units. Needed them to extend pickup range for an outside application. They work great. They gave us another 100+ feet of range. Small (3x4) made with what seems to be pretty sturdy plastic. I also bought the magnetic bases for them. Enough hiding power but not so much that they are hard to remove. These should have come already installed by the factory, imo. Finally, I have the range I desire. Whew. Totally recommend, without hesitation. I have a Swan Wireless Security system. The cameras are on WiFi. The supplied antennas are about 3" tall and have horrible range. This little directional antenna is amazing! Gives me about 40% increase in signal strength, so no more lost signal. My only complaint is that it's limited on positioning. 3 of my 4 Camera's have this antenna! I love it. Bought 2 of these to extend the range of a 3DR Solo drone. They worked great effectively doubling the distance the drone could travel before loosing the control and video signal. Data-Alliance had the best price I could find but what surprised me was how quickly the items arrived...very fast shipping. I am very satisfied!!! The product was exactly what I was searching for. MOre importantly Data Alliance processed the order extremely fast and shipped it immediately. Cant beat great price and great service. Great Price with Fast Delivery! Works great for its intended purpose. Thanks for the great price and fast delivery! 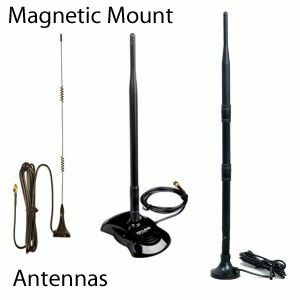 Antenna is compact and easily attached to by Swann Wireless security camera replacing the omni-directional antenna that came on the camera. Signal strength has increased to a fairly steady 3 of 4 bars. Was 2 bars with stock and frequently dropped signal all together. So far, so good. Time will tell. I bought these to improve the signal coming from a couple of Lorex surveillance video cameras at my barn. Put 2 on the cameras outputs and one on the receiver in the house and they improved the signal strength significantly. 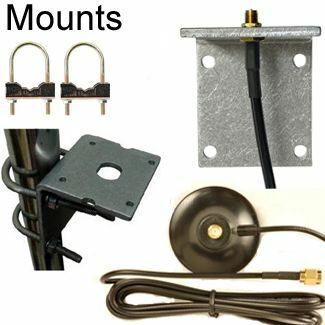 The original equipment antenna broke on my 28 foot RV's rear-view camera (mounted on the roof at the rear, transmitting to receiver/monitor mounted in the front cab). Found this inexpensive gem. Screwed it on. Great transmission. Perfect.